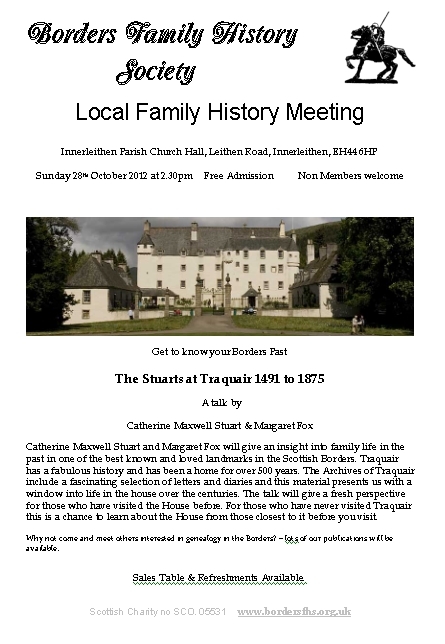 A very interesting talk with nice slides today at Innerleithen on their book 'A Family Life Revealed: The Stuarts at Traquair 1491 – 1875' by Catherine Maxwell Stuart and Margaret Fox, including information about the additions to Traquair House at various times. See my September review of their book: 'A Family Life Revealed'. They didn't mention dragon's blood and I forgot to ask, but they did bring along another recent book, 'A Tour to the Preston Guild 1802' - the images of Lord Linton's entertaining report of his visit to Preston in 1802 - including who he met and the places he visited with a transcription of the report and brief notes on some of the many people he dissed. 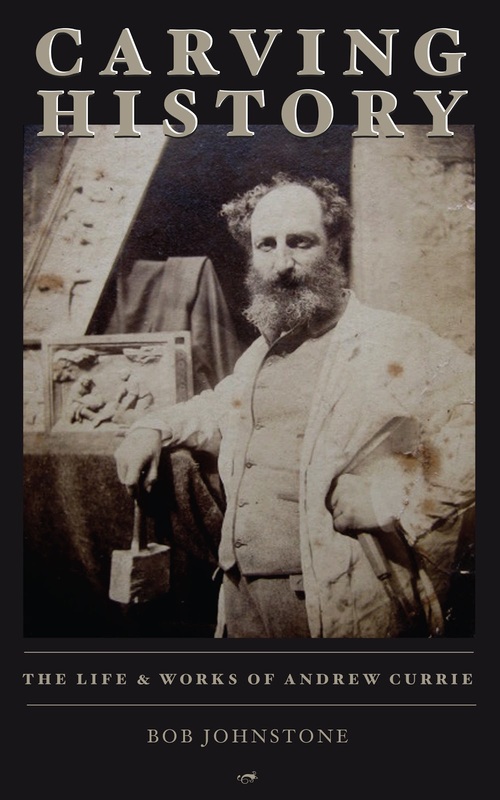 The Preston Guild, which relates to Preston, Lancashire (not Preston, Berwickshire), dates back to 1179 and since 1542 met every 20 years for guild members to renew their membership. More about The Preston Guild. They also mentioned that they're intending to do research on Lady Christina Stuart who eloped and married Cyrus Griffin, the last President of the Continental Congress (America) and I'm sure that will be very interesting though I expect that is several years' work. The talk was packed and the only downer was that several lights did not work so we didn't sell any copies of our Innerleithen Monumental Inscriptions CD or indeed, many other publications. As a special offer, Genes Reunited is offering free access to transcriptions of the England and Wales 1911 Census until 18th November. There's also a discount if you want to see an image of the actual census page, which is especially useful if you think there might be a transcription error. The 1911 census was done on Sunday, 2nd April 1911 and included all individual households as well as prisons, workhouses, naval and merchant vessels. You can see details of your ancestor's marriage and occupation, including how long they were married and how many children (alive and dead) they had within that marriage; also as I discovered, one of my ancestors must have had children under another marriage. You’ll need to register, too. Search the England and Wales 1911 Census. The October magazine should be going off to the printers tomorrow. Depending on their workload I expect about two weeks will elapse before I get word back from them that the magazines are ready for uplifting. The magazines will then have to sorted, put in envelopes and either taken to the Post Office or collected by the courier. I am expecting therefore that members, at least in the U.K., will receive their copies towards the end of this month but unfortunately for many who reside abroad, particularly those receiving their magazine by surface mail, it will be very much later. There is however an alternative whereby you could receive the magazine right away. In our last issue we indicated the option of receiving the magazine electronically and a number of members have opted for this alternative This will mean that they will get their magazine immediately and save the Society printing and postage costs. It will also mean they will be able to store their magazines on their computer at home making them in many ways very much easier to access and also of course saving physical storage space. Needless to say we shall also waive the postal surcharge for those who previously opted to receive their magazine by airmail so also a slight financial saving. If you would like to receive the magazine in this way let me know. To e-mail go to our contacts page scroll down and under 'select type of contact' chose "contact the magazine editor"